Dr. Neal Kingstone is a highly dedicated, passionate optometrist with over 25 years of experience. He is committed to providing the finest and most personalized eye care to patients of all ages. He firmly believes that excellent health begins with education and prevention, and enjoys enlightening his patients to ways they can take greater control over their own eye health. Dr. Kingstone received his Optometric training at the prestigious New England School of Optometry in Boston MA, where he earned his Doctorate degree in 1992. After a residency year in which he received a Fellowship in Clinical Education, Dr. Kingstone spent the next 11 years practising in a multi-disciplinary healthcare setting affiliated with Harvard Medical School in Boston MA. In early 2004, he moved with his wife and two young children back to his home north of Toronto. There, he soon discovered the wonderful community surrounding Orillia ON where he began to practise in early 2006. 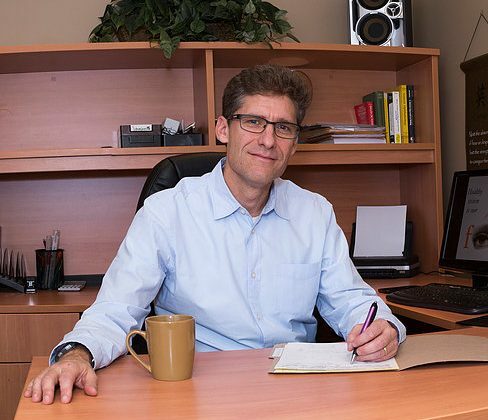 Dr. Kingstone so much enjoyed caring for his patients in Orillia, that in September 2015 he became the new owner of Orillia eyewear, which has since been renamed Orillia Eyewear & iCare in order to reflect its growing Optometric practice. In his spare time, Dr Kingstone enjoys training for and participating in several triathlons throughout Ontario. Dr. Kingstone and his staff look forward to continuing to provide all of their patients and customers with excellent eye health care as well as furnishing all of their optical and eyewear needs for many years to come!